All of Us or None launches Freedom School starting Saturday August 9th – all welcome! Today we’re excited to share a great new leadership development series for people in reentry and their families: The Freedom School launched by All of Us or None, a grassroots civil rights organization fighting for the rights of formerly- and currently- incarcerated people and their families. The Freedom School is an education and training initiative for formerly incarcerated people and their families that will explore the barriers and issues they face, explore tangible solutions, and build support. The goal of the program is to help participants better understand these issues, develop solutions, and grow into community leaders. The Freedom School is a once a week, 4-week long commitment. The first session will begin on Saturday, August 9th and will end on Saturday, August 27th with a Graduation Ceremony on August 30th. Classes will be held at 5833 Bancroft, Oakland, CA 94605 (Cross Street is Seminary). We think this is an excellent opportunity and hope that many of you will join. If you are interested, contact Manuel at 415-637-8195 or manuel@prisonerswithchildren.org to apply or receive more information. See the flyer or visit this website for more details. To learn more about All of Us or None, visit their website, watch their videos Locked Up, Locked Out and Enough is Enough or check out their newspaper. Announcement! LCCR Second Chance Clinic on Tuesday July 29th – Spread the word! We would like to let you know about the Lawyers’ Committee for Civil Rights (LCCR) next Second Chance Legal Clinic on Tuesday, July 29th at 6 pm at the West Bay Community Center, 1290 Fillmore Street, next door to their partner, Mo’MAGIC. Clients should call 415-814-7610 to sign up. The Second Chance Legal Clinic assists people with conviction records in removing the legal barriers to reentry. At the clinic, individuals with prior arrests or convictions can receive advice in the areas of employment, housing, driver’s license suspensions, occupational licenses, record expungement, and background checks. Please spread the word to all those who may be interested in these services and have them call the LCCR hotline, 415-814-7610, to sign up for the clinic. For more information, please see this flyer LCCR Second Chance Legal Clinic Flyer_2014-2 or visit the LCCR website. Green is the New Orange: The transformative power of Community Gardening Programs in Jails and Prisons. Despite the billions of dollars we spend every year on maintaining and expanding prisons, the national recidivism rate continues to hover around 66 percent and crime rates have remained more or less the same. This leaves many of us feeling helpless about a broken system. However, there are some beacons of light—alternative, grassroots programs that literally “plant” themselves at prisons and jails, encourage rehabilitation, personal growth, and positive self-image, and have much lower numbers in their alumni’s recidivism rates than state and national average. Today, we are talking about the many garden programs that are being implemented in California and across the country! Spotlight on the Insight Garden Program (IGP) at San Quentin State Prison, which seeks to facilitate recovery and change by creating a community environment and connection to nature, both inside the prison and in the local community. Since its inception, IGP has built a vegetable garden in San Quentin’s medium security unit, and has collaborated with local nonprofit organizations like Planting Justice, to provide employment opportunities and other essential reentry services and support. The garden is maintained and cultivated by the the participants and the food they grow is donated to local charities in the Bay Area serving low-income communities. The IGP staff and volunteers facilitate weekly classes focused on a holistic curriculum that tends to both the “inner” and “outer” gardener. The “inner gardener” classes integrate transformational tools such as meditation, emotional process work and eco-therapy–designed to plant seeds for change in the participants. In the flower and vegetable gardens, the men practice “outer gardening,” learning the basics of organic gardening, human/ecological systems and the “green jobs” industry. How is garden work so effective for promoting rehabilitation, self-care, resiliency, and health—and why would it help to reduce recidivism? It is not surprising, really. We know that exposure to nature is critical for children’s development and for building empathy — and we all know from personal experiences, that a connection to nature is essential to promote inner peace, wellbeing, and calm. Similarly, according to IGP’s cited research on people-plant relationships and horticultural therapy, the act of caring for plants includes the qualities of responsibility, empathy and discipline that also transfer to the interpersonal realm. By growing plants, people also “grow.” Providing access to nurturing, green, community spaces also encourages participation, facilitates the cultivation of healthy social relationships, and promotes healthy, safe, and sustainable community living. Gardening gives people an opportunity to learn important life skills in a safe and loving environment, to reconnect with themselves and their communities, and ultimately, to realize their full potential and find true meaning and purpose in their lives. One thing we really love about the Insight Garden Program is that it thinks and works on a broader scale—looking for ways to expand its work and success to other prisons and other people across the country. IGP has a close working relationship with GreenPrisons.org — the only national resource that informs, educates, and trains correctional practitioners about all aspects of sustainable practices and services. It also informs, educates, and trains commercial entities about the correctional environment and its unique opportunities and challenges. These services are provided without cost to correctional practitioners and include a newsletter, webinars, regional forums and conference presentations. Pretty amazing! We hope that other programs across the county expand and grow in a similar way. In fact, other garden programs have already seen similar rates of success and benefits for program participants. Members of Greenhouse, a garden rehabilitation at Riker’s Island Jail in New York, had recidivism rates below 10 percent. Participants of the Sandusky County Jail Garden in Ohio had recidivism rates of 18 percent, compared to the 40 percent recidivism rate of the jail’s general population. The program also saved the jail over $25,000 in food costs and donated over 375 of fresh-grown produce to local good pantries and soup kitchens. Interested in creating a prison or jail project in your local community? 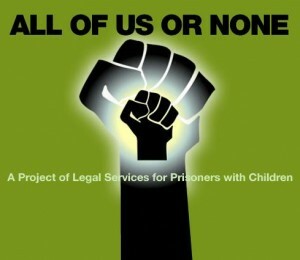 Contact your local prison and/or jail administration, contact GreenPrisons.org, and get the conversation started! California’s new “Ban the Box” law takes effect for public employers! Beginning this past Tuesday, July 1st, public job applications must remove questions about a person’s convictions from their initial job applications, and postpone those questions until later in the hiring process. This new law, passed on October 10, 2013 as AB 218, and more commonly known as “Ban the Box,” is a huge success for encouraging and implementing fair hiring practices for people with criminal records in CA—people who are able and motivated to work! Under CA’s new “Ban the Box” law, state and local government employers can only ask about certain past convictions after it has been established that the applicant meets the “minimum employment qualifications” for the job, or later in the hiring process. Certain public employers, such as law enforcement and school districts, however, are exempt from the law. Any job positions subject to a criminal background check by an occupational or licensing law are also exempt. “When we first introduced the bill nearly two-and-a-half years ago, our goal was to advance a simple but powerful message—that everyone who works hard deserves a second chance to turn their lives around and give back to their communities,” said Assemblymember Roger Dickinson (D-Sacramento), who championed the measure. Thanks to the “Ban the Box” campaign, the one-in-four adult Californians, or seven million adults, with a criminal record will now have a fair chance to compete for public sector jobs. Today, to celebrate this new law, Root & Rebound published its very first Guide for Employers: Hiring People with Criminal Records. The guide is available for free on our website! In line with Root & Rebound’s work to improve the lives of people in reentry, and to reduce the barriers they face, this Guide for Employers explains the legal shift that is taking place to promote the hiring of people with records and all of the laws and best practices that employers should follow to protect every job applicant’s civil rights and privacy rights. The guide also provides useful advice for employers on how to take care of their companies by mitigating general risk and purchasing insurance, and how to utilize the benefits and incentives offered to employers who hire people with criminal records. • Around half of the largest counties and cities (Los Angeles County, San Diego County, Riverside County, Santa Clara County, and the cities of Anaheim, Fresno, Oakland, San Diego, and San Jose) went beyond what is required by the new law, delaying the criminal-history inquiry until the employer makes a conditional offer of employment, or later. • Additionally, the city & county of San Francisco passed a “Fair Chance” local ordinance extending the policy to private sector employers as well. The new SF law goes into effect for private employers on August 13, 2014. We applaud the efforts of all those that led the “Ban the Box” campaign, including, All of Us or None, Legal Services for Prisoners with Children, the National Employment Law Project, and PICO California. This is an exciting time as the laws in our state finally begin to reflect and uphold the dignity of formerly incarcerated people who are working hard to rebuild their lives and contribute to society. There is no reason to discriminate against people who are fully employable simply because of past convictions. This law is a great step forward in showing through the power of the law that reentering people have a place in our communities. There is more to do—we must continue to reduce discriminatory barriers to ensure that every individual is given a meaningful second chance.